The best advice is to phone Motability and ask the appropriate channels for a formal complaint, your home and safe know so try not to let it run your evening too, I’m lucky I have a spare wheel but do feel for you. A formal complaint unfortunately is sometimes the only way for a voice to be heard. Even if privately and abled bodied that is shocking. Motability said it would complain ,everyone said it was utterley incompetent the way we have been treated ,a priority that took 7 hours ,I am fed up with this whole thing ,and Tyre blowout iether faulty Tyre or something on road to make 4 inch gash in Tyre . I’ve lost trust in all concerned . You make a good point Micky, and I wonder how it works? Insurance wise a vehicle can’t be covered by two policies but I wonder if we could have more than one rescue service through Motability, I have a policy through bank account and another through private insurance (if I’m in the vehicle) plus the manufacturers cover. But am I allowed by Motability to use my insurances on their vehicle. I think this is one for @trev to do his live chat thingy lol. Sure motability need to look into the lack of professional care RAC are giveing to disabled drivers , if AA have better attendance and customer care ,it should be considered. I forgot to mention , RAC kept texting me to say ( you have onward travel cover ring an 0330 number) ,I did not want this so on several occasions attempted to call this number to say I don’t need ,onward travel ,BUT NO ONE ANSWERED THIS PHONE NUMBER . NO ANSWER . 1, you location and 2, being a Motability customer. I would be asking what classification was this job (sorry that’s what we called them) given and if was given a high priority why the system totally over looked this priority job. I know they will come back with a load of excuses but one thing they cannot come back with is the weather as it has been not what I call a weather related day. I speak with a little knowledge on this matter as I worked for the RAC for 21 years not as a patrol but on the deployment of the patrols. By the sounds of this and other complaints we have recently heard about via BBC Watchdog it seems as if the structure has changed since I departed from the RAC. Keeping customers updated at the time I was there was paramount and set we had then on the whole worked. Yes Newfie ,it’s gone downhill I suppose we where told we where priority , 7 hours priority , no food or drink from small breakfast 0800 .to cup tea 19.45 . I’m told AUTO AID covers person what ever car with free cover wife /,husband /partner . I hope I have no problems getting repair tomorrow, and able to go on birthday thing sat 10th ???. I wonder after this experience. Auto Aid will be an organisation that solely use contractors (local garages). Motability choose the RAC as they have a patrol network and I know that patrols fix more vehicles at the roadside than contractors. 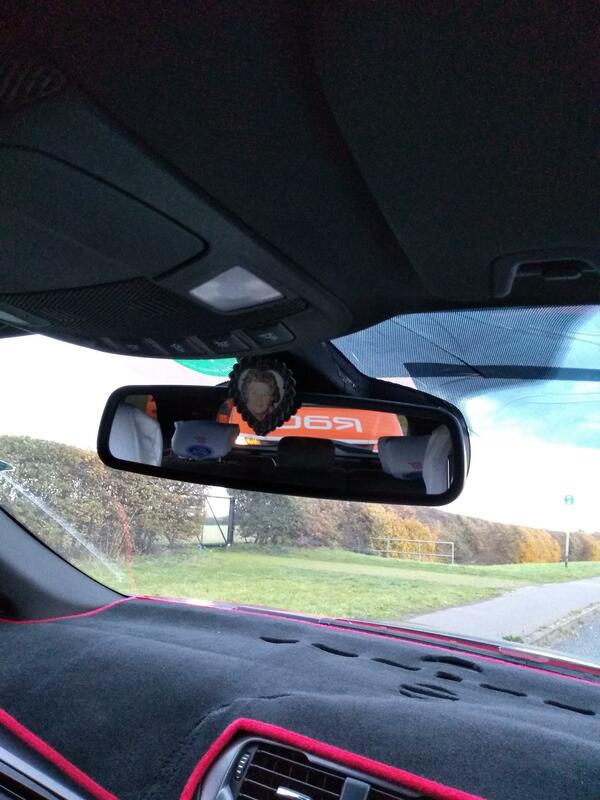 Contractors want to get you back to their premises so as to try and fix it and then you are talking labour charges whereas the AA and RAC do not charge for this if a patrol carries out the repair. I am hearing that all these cars we are getting through Motability still carry their MotorMan contracts (Breakdown cover through the manufacturer) and if I am right the AA cover Ford. The only thing about calling another breakdown company to a Motability car is that it can cause problems when further services of the membership Motability cars get through the scheme. I would love to see the NotePad of you job. It would make for very interesting reading. Great to hear the other side of it Newfie. And as you rightly point out it’s not just RAC, As with any big organisation mistakes will and do happen, something failed along the way, and sometimes the only way to try and help it from happening again, is a formal complaint as it often results in individual situations being looked into and recognising where an issue occurred. We often overlook the ones that did a great job to the best of thier ability when things go wrong, I’m sure you have been a great comfort and voice of reassurance to many over the years, and thank you as I may well of been one of them. 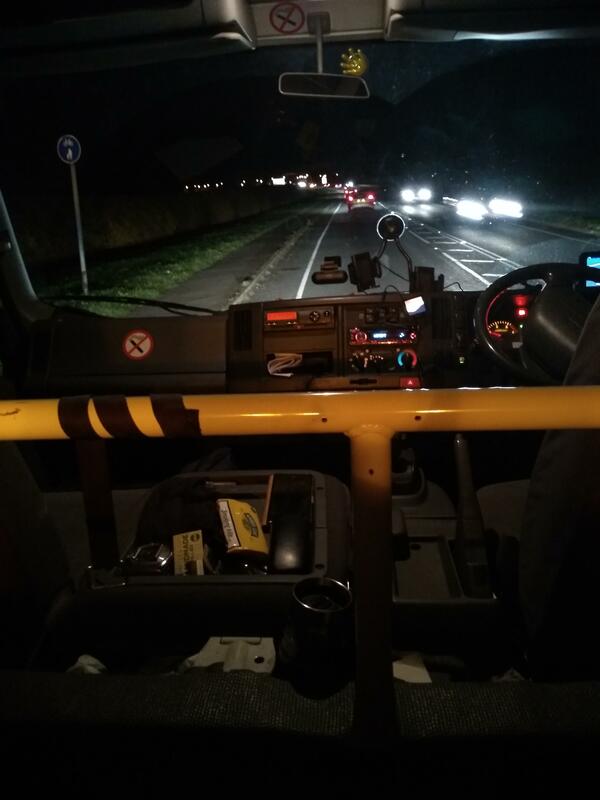 Over my years there I have deployed RAC patrols in every part of the UK and Ireland. I loved the job until a computer started taking over and I am afraid that is where it falls flat. A computer cannot see things such the human element in all of it. 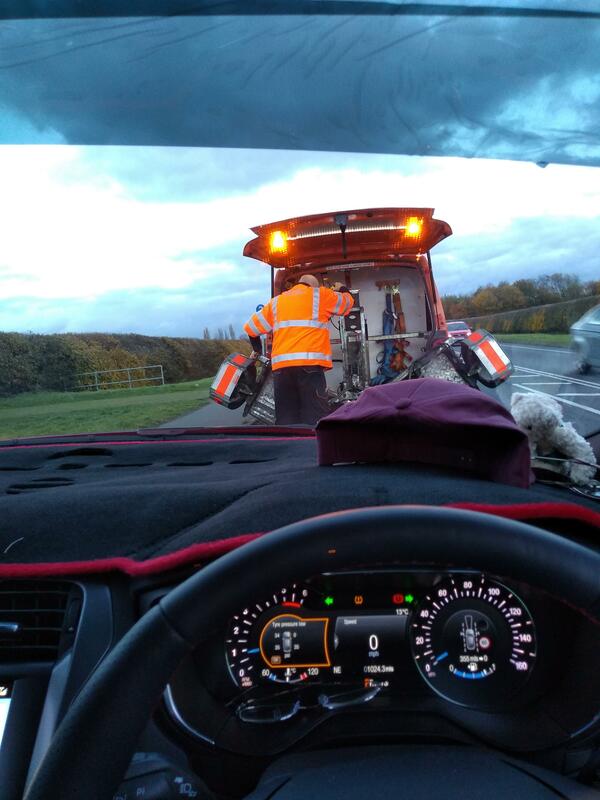 Sounds exactly like my experience with RAC and damaged tyre wall, but we were stuck on the m40 in lane 3 as we were in heavy traffic no one would let me move across. parrol arrived but said it was now out of hours so a tyre 205/55/15 Bridgestone would be £237 plus vat (Wasn’t with mobility then) he fitted the emergency wheel , we drove past at least 2 open tyre places he said if we wait in this premier inn we can use the loo have drink and he’ll comeback when the tyre was fitted about 45 mins later. In the mean time I had had rang national tyres we drove past and they said they’re open till 8pm my tyre fitted with disposal and vat was £68 , but the patrol ignored my mobile? 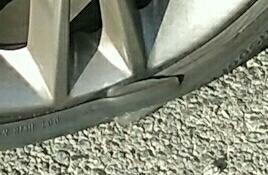 also they’d fitted the wrong tyre a face he couldn’t deny, because mine were run flat I think E3000? Anyway I got home about 9pm with my disabled wife and my kids, that evening rang the credit card company and said RAC had fitted a wrong tyre which didnt meet the manufacturers recommended spec and I didn’t want it. Plus they heard what he’d charged me, so they refunded me, I got a B/s apology letter from the RAC rang the manager back and left the RAC after about 25 years of not needing them until this. 1. Either has a full size spare (or a minimum of a space saver wheel/tyre) as standard. 2. Has the option to spec a full sized spare (or minimum a space saver wheel/tyre) and I spec the option. I do not like the current trend of only being offered a compressor and can of goo, as they are pretty useless when a tyre has anything more than a small nail through the tread area. I suppose Motability do want to offer as wider choice of vehicles as possible, including those for which a spare/space-saver is not an option. However, I simply will not order one without a full sized spare or a space saver being available. So I maybe won’t have to disappoint my friends on Sat ,birthday thing felixstow . Thank you Mike newfi just saying, Phil that was an awfull experience, with my experience every one I had to deal with said (. Someone’s cocked this one up ,priority ???). 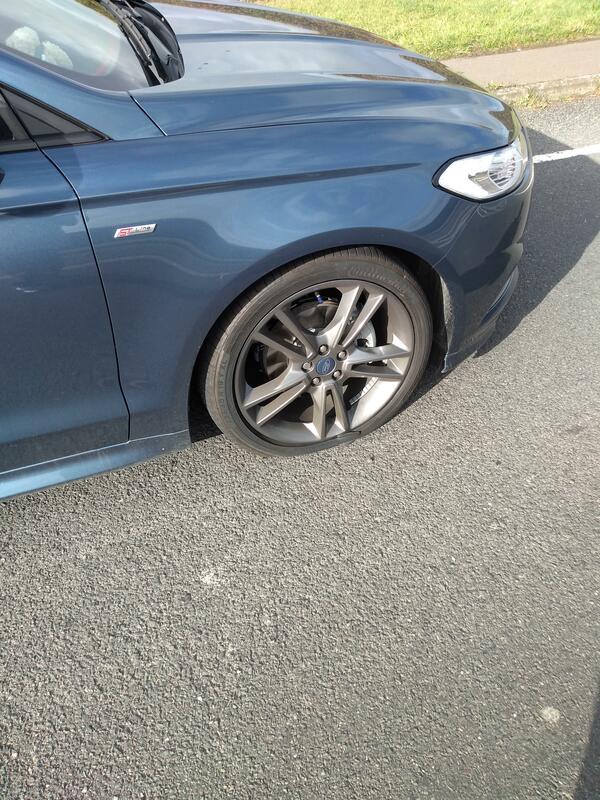 I don’t really understand why Tyre exploded ,I guess there must of been something on the road, of course it may of been far worse if I was on motorway 70mph, I have a hate for low profile tyres,and alot of driver’s dislike them, these are chunky low profile 19″ . I haven’t slept much but I am calming down now I know a repair is on way, this is not how disabled driver’s driver be treated. I suppose it is handy that WPMS/AFIP recipients can also get Complimentary (free) AA membership, which could no doubt be utilised if in the same predicament as the OP and are waiting many hours for the RAC. For any WPMS/AFIP recipients who haven’t got the Complimentary AA membership card, just ring Veterans UK (tel: 0808 1914 218) and ask for a ‘Disabled Driver’s Assistance Card’. After a few questions to verify ID, Veterans UK will post it out within a week. This spare wheel disaster has always been a concern of mine going back to 2011 when my Seat Leon came with one of those stupid repair kits. I was in contact with Motability many times about it and what was I to do if I’m out in the back and yonder at 2 in the morning and I get a simple puncher and there simple answer was “no worries, just call the RAC and they will sort it” and when I put it to them that it was beyond belief for we disabled folk to be driving around in cars with no spare and their answer to that was “I could buy a spare at my expense if I liked”. Thankfully I never had any punchers in the Leon other than slow ones and I can’t change a wheel due to disability and im unlikely to be out in the wilds in the early hours but thankfully my Golf came with a space saver wheel that I had to use once but a kind member of the public changed the wheel for me. I collected a new car last week and the first thing I did when I got home was to check the car had its space saver in the boot. It’s the manufacturers who are leaving out a spare wheel simply because it saves a couple of hundred £’s on the ticket price and they the use the environment trump card to say it saves 4 gallons of fuel over the lifetime of the car so less pollution. At the very least Motability should insist on a space saver along with the metallic paint but then space savers don’t come to a future buyers attention until they have to use one, find they haven’t got one and it’s going to cost them several hundred Pounds to fix on the hard shoulder of a Motorway.